Running, basketball, soccer, football, skiing, gymnastics—the variety of ways we play is amazing! Sports are a lot of fun, great exercise, and a good way to develop character and team building skills. They are also a way to get hurt. Athletes realize that playing increases their risk of sustaining any number of common sports injuries that can keep them sidelined, but for them, it’s worth it. Ankle Sprains – Caused in part by side-to-side movements, they often occur on the outside of your ankle when the connective tissue stretches or tears. Plantar Fasciitis – Arch structure and foot mechanics can lead to damage to the plantar fascia that runs along the sole of your foot, leading to heel pain where it attaches to the bone. Turf Toe – When the big toe is bent too far backwards, the ligament underneath can be damaged, causing pain and stiffness in the joint. Achilles Tendinitis – A general term that is applied to a variety of problems with the tendon behind your ankle, including inflammation, stretching, and tearing. Shin Splints – This pain along your tibia (shin bone) occurs from repetitive motion, when tight muscles pull on the fibers that connect them to the bone, causing irritation and inflammation. Many common sports injuries involving muscles and tendons can be avoided with a regimen of stretching and warming up properly before activity. Acute Fractures – These occur from impact or other trauma that causes the bone to actually split in two. These are serious and need immediate treatment. Stress Fractures – A more common type of injury which results from overuse. Repeated stress on the bone causes small cracks to develop in the surface, causing a dull ache that builds gradually. If untreated, they can lead to a full fracture. 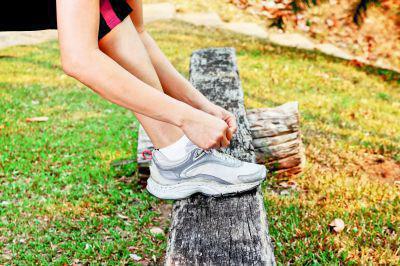 You can also develop bone spurs, extra deposits of bone tissue that can cause pain when rubbing against your footwear. Morton’s neuroma involves the nerves between the toes, which are compressed and can swell and become painful. Metatarsalgia is pain that develops in the ball of the foot from overuse and strain on the tissues. Heel pain can also occur from conditions like bursitis—inflammation of the bursa sac that cushions between tendon and bone. For these and other common sports injuries, you can find expert care and treatment at Rocky Mountain Foot & Ankle Center in Wheat Ridge and Evergreen, Colorado. Dr. Matthew Paden, Dr. Brett D. Sachs, and Dr. Dustin Kruse can help you get to the bottom of your foot and ankle pain, and design a plan of treatment tailored to your needs. Call our office at (303) 423-2520, or request an appointment online to put an end to your pain and get back to enjoying your sport once again.